Posted on September 23, 2017 by Matt C.
The vast majority of people aren’t terribly savvy when it comes to fixing their car. If you’re one of these people, there’s no need to feel embarrassed. After all, there’s a reason that there are so many quick oil change businesses all around the country: most people don’t have the knowledge or desire to do it themselves. And, a lot of the time, it probably does make more sense to pay someone else to take care of your car repair needs. There’s a lot that can go wrong with a car, and sometimes it’s best to have an expert take care of things for you. But, there are also times when it makes more sense to just take care of something small on your own. The same way that you’d go to a doctor for a broken arm but not for a runny nose, you might need to see a mechanic for a blown head gasket…but if your door handle’s sticking, you can probably fix it on your own. How, you ask? Well, take a look at these easy DIY car repair hacks. You’re not the only person with a windshield that just won’t clean up, no matter what you do. Forget about those gas station windshield scrubbers, or the solution that comes out of your car’s internal reservoir. No matter what you do, your windshield is caked with grime. So, what’s the solution? 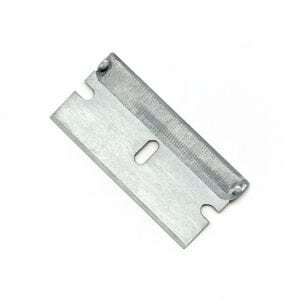 For those spots that just won’t come off no matter how hard you scrub them, a razor blade can do the trick. Just be sure to keep is secured in your glove box inside some kind of case, so no one suffers injury. Depending on your insurance policy, you may have free repair for cracked windshields or windows included. Or, if not, you can call a local company to have them fix a crack. The catch? The crack needs to be small. Once it gets big enough, it’s no longer fixable, and you’ll need your entire windshield or window replaced. But, let’s say you suffer a crack and won’t have time to get it fully repaired for days. What do you do in the meantime? Believe it or not, nail polish is the answer. Just paint clear nail polish over the crack, and it’ll prevent it from spidering. 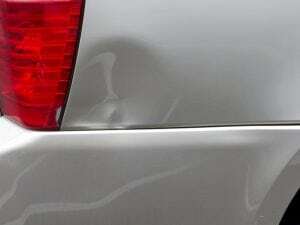 You walk out to your car in a shopping center parking lot, and as you go to open the door, you notice something: a small dent. What a pain! Body shops are so overpriced. What can you do? It may sound crazy, but you can actually pop out small dents with a plunger. It works exactly like it sounds: put the plunger over the dent, plunge away, pull back, and the dent will pop out. Good as new! Of course, some cars are beyond these quick fixes. They’ve bit the dust, and it’s time to get rid of them. If you’ve got an old clunker that’s never going to run again, you can get cash for it today from Junk Car Traders. No matter your car’s condition, Junk Car Traders will haul it away and put cash in your hands. And if your car’s still in running shape: congratulations! These quick fixes should help keep it on the road for years to come.